Foundation plantings should accent the space near the front entrance of your home. They should be in scale with the house, growing to a mature height of approximately one-third to one-half of the distance from the ground to the bottom of the eaves. Two-story houses will require taller foundation plantings than one-story houses. Plant shrubs continuously around the foundation rather than in bunches with space in between; this will visually anchor the house to the ground. Plant easy-to-maintain shrubs around your foundation for care-free landscaping. Rhododendron (Rhododendron spp.) grows 4 to 6 feet high with an equal spread. Its large, leathery leaves are evergreen in most areas. Rhododendron grows spectacular flowers that cover the bush in spring. Grow rhododendron in partial shade and moist, well-drained soil. American cranberrybush viburnum (Viburnum triolbum) is a native American shrub that grows 8 to 12 feet tall with an equal spread. It will grow in either sun or shade and prefers moist, well-drained soils. Its lacy flowers bloom in spring, followed by cranberry-like fruit in fall, along with yellow-red or reddish-purple fall leaf color. American cranberrybush is very adaptable in the landscape. For partial or even deep shade, the evergreen yew (Taxus spp.) comes in many varieties in all sizes, spreads and habit. It is virtually maintenance free and will provide winter interest, especially if planted near the front entrance. Juniper (Juniperus spp.) is an evergreen for full sun. It is available in a variety of species with different heights, spreads and needle colors. Juniper gives off a slight evergreen-like scent if brushed up against, and is a good choice for planting near a front door. If your house has large, overhanging eaves, it may be best to plant drought-tolerant perennials and shrubs around your foundation because they won't suffer from lack of direct rainfall growing under the eaves. Fragrant sumac (Rhus aromatica) grows from 2 to 6 feet high and spreads from 6 to 10 feet. Although it prefers moist soils, it will tolerate dry soils. Fragrant sumac has brilliant red fall leaf color. Common ninebark (Physocarpus opulifolius) grows from 5 to 9 feet high and spreads about 10 feet wide with a rounded form. It tolerates alkaline soil and grows equally well in either dry or wet sites. It produces clusters of white or light pink flowers in spring which develop into pinkish fruit capsules in late summer. Peeling bark on older stems provides winter interest. Common ninebark is not bothered by pests or diseases. Various species of barberry (Berberis spp.) 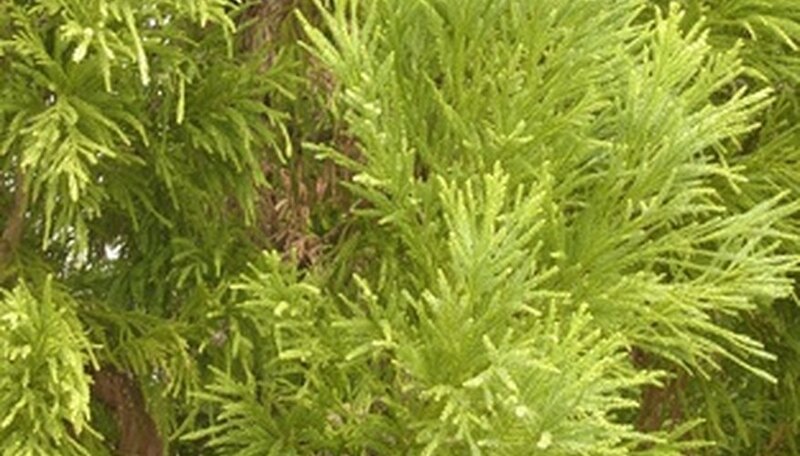 are all excellent shrubs for landscaping in drought-susceptible areas. They prefer growing in sun to partial shade and come in a wide range of sizes and growth habits. Several low-maintenance, flowering herbaceous perennials make excellent foundation plantings. The many varieties of peonies (Paeonia lactiflora var.) are excellent for a foundation planting in full sun. A well-planted and well-maintained peony will happily grow and bloom in the same location for 50 years or more. Peonies produce very large, very fragrant flowers in late spring on plants that resemble shrubs about 2 feet high. They prefer well-drained soil and should be fed every spring with slow release fertilizer in order to produce the most blossoms. For foundation plantings in full sun to partial shade, the old-fashioned herbaceous perennials hydrangea (Hydrangea macrophylia var.) are an excellent choice. They produce large, showy, softball-sized flowers in mid to late summer on bush-like plants that grow from 2 to 4 feet high and spread about 3 feet. The flowers dry right on the plant and persist into winter, providing interest during these cold months. Cut the stems down to the ground in spring to make room for the current year's growth and fertilize with a slow-release granulated fertilizer at the same time. For foundation plantings in partial to deep shade, try growing one of the many varieties of ferns. Ferns (Aspleniaceae family) come in many varieties and sizes, from a foot high up to 4 to 5 feet high. They quickly grow to fill in an area and seem to do well even beneath overhanging eaves. Remove the dried foliage in late fall. Ferns rarely need supplemental fertilizing, although they will benefit from a 1 to 2 inch layer of well-rotted compost spread in their growing bed in spring. Lily of the valley (Convallaria majalis) are excellent low-growing perennials that thrive in moist, shady areas and do particularly well under the shade of deciduous trees. They bloom in mid-spring, producing tiny bell-shaped flowers along a stem that grows slightly taller than its lance-shaped leaves. Lily of the valley is a good choice for a foundation planting between the house and a sidewalk, which will contain its spreading habit and confine it to the growing bed.